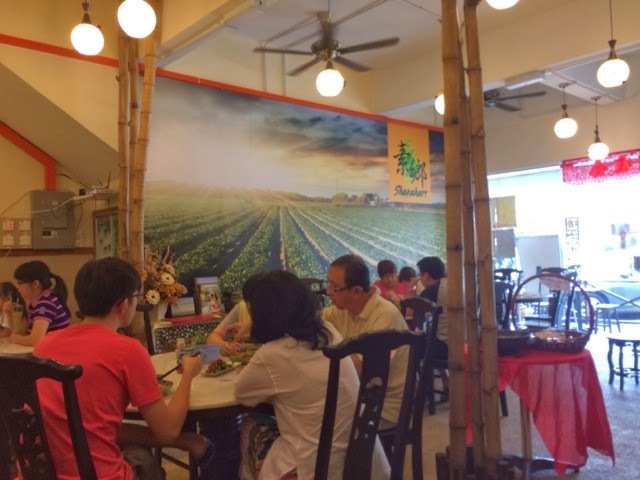 Expatriate in KL: Shakahari at SS2: A Must-Try Vegetarian Restaurant! 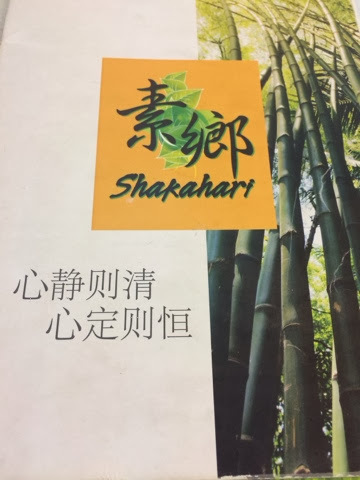 Shakahari at SS2: A Must-Try Vegetarian Restaurant! 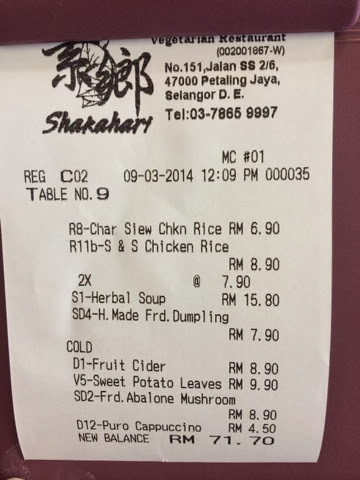 Today June 7, 2014 we went back for a lunch meal and the food wasn't how I remembered it. 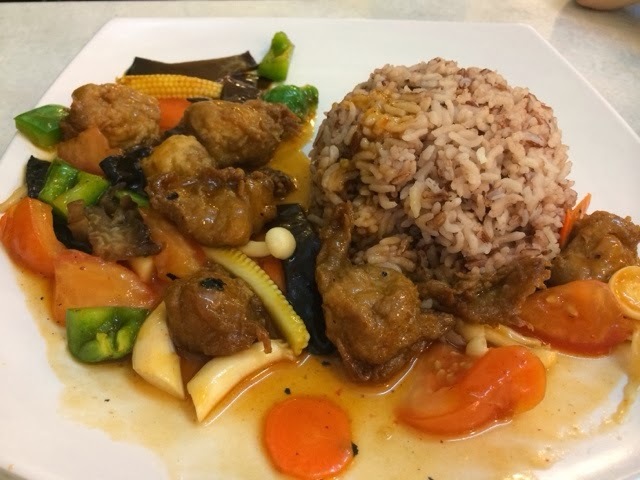 The mushroom dish was over-fried. Totally different experience from my last visit. Perhaps they should look into maintaining quality. Won't be coming back anymore. Below was my first experience. 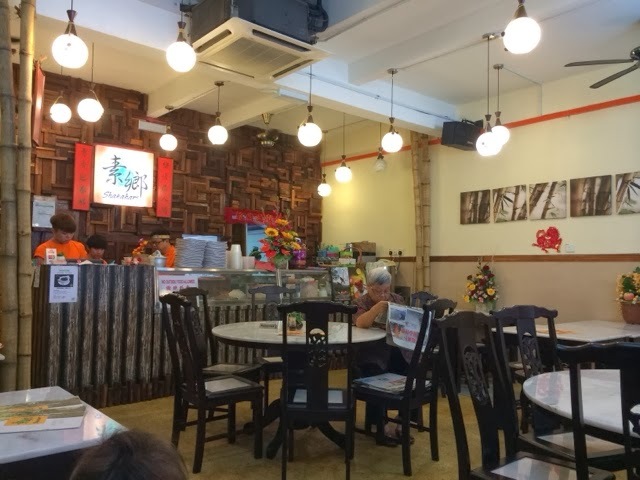 We rarely go to SS2, and thanks to a friend of mine, he gave me a tip off on a new vegetarian place located in the busy food place of SS2 neighborhood. At first it sounded like "Shakira". 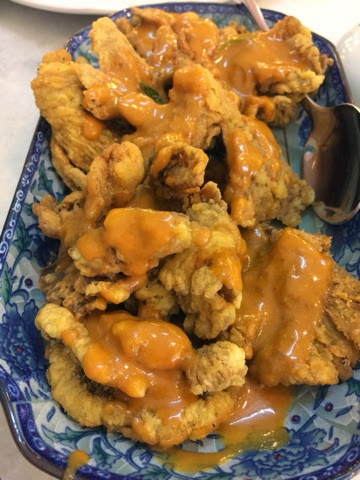 Lucky it was located near a Nasi Kandar place, so we easily found it. It was easy to park on a Saturday afternoon. We went there on lunch time, and it was half-filled about 12 noon. Soon after we sat and ordered, the crowd started coming in. I guess we were early! I brought my baby with me and despite it was tight inside, it still had enough room for my baby pram and the place looked decent and clean. Not all the staff spoke English, though we didn't have a problem ordering as their menu was very straightforward (and informative). 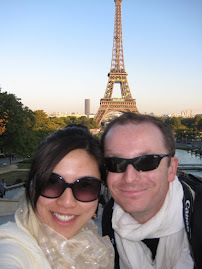 We honestly enjoyed our meal, hence the immediate blog post despite my busy schedule. The place was alive with people, and before the crowd came in, I did enjoy the music that they played. So plus points for that. 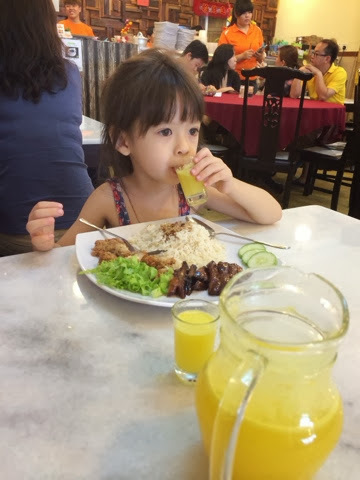 My daughter loved her "char siew" order, which of course wasn't really pork. It tasted authentic so for sure I will order that again next time. 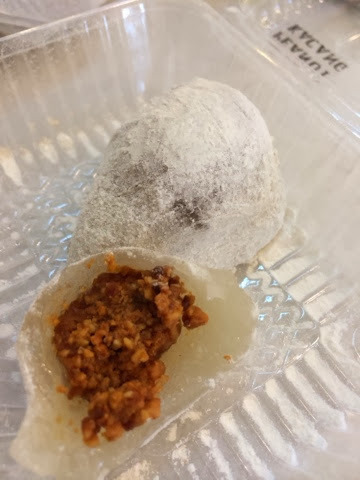 They also sold some kway or kueh (local sweets). I loved their peanut ball! That was my dessert, plus a cup of their organic coffee, which they advertise as ethically sourced. It tasted okay. 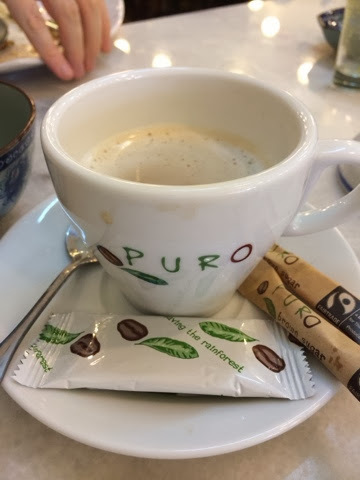 Perhaps next time I will just try the black coffee (this round we tried the cappuccino). 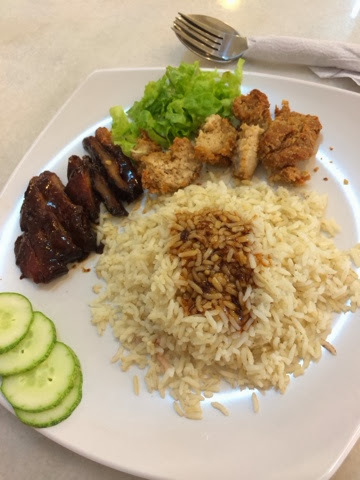 "CHAR SIEW" rice... my daughter loved it! 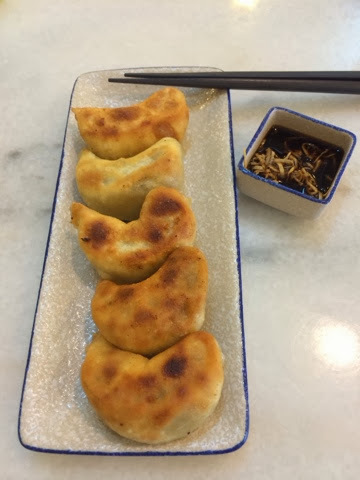 Fried dumplings - it was tasty! 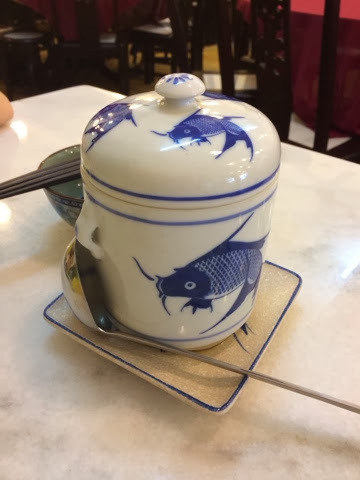 Super loved the double-boil soup. We ended up ordering two of these!!! 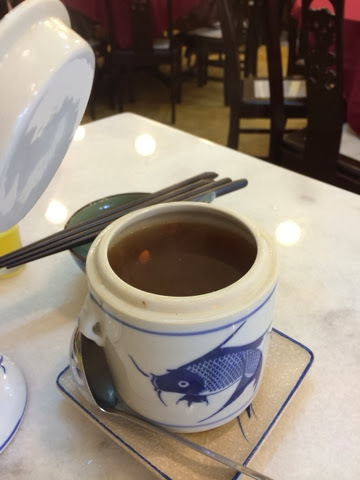 Ultra-hot double boil soup -- very tasty! Abalone mushrooms - loved this one!!! Peanut Ball - loved this one! Total bill for 2 adults, 1 toddler. 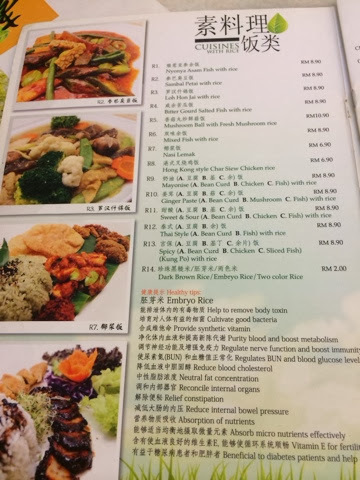 Very affordable for the meal we had.